A tub of ice cream and a bottle of champagne sound like the ingredients to a perfect Friday night. But if you're looking to make things even simpler, the spirited ice cream company Momenti offers both components in one sweet, frozen package. Plenty of ice cream brands make flavors inspired by fruity cocktails, but Momenti stands out by infusing premium liquors into their products. 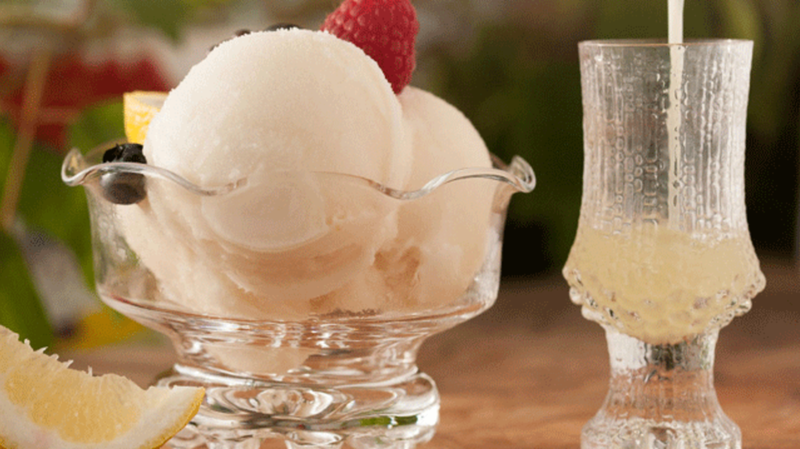 The Limoncello sorbet is blended with real limoncello, and the White Russian with actual vodka. Other intoxicating offerings include Champagne Strawberry, Blackberry Cabernet, and Chocotini Chip. The mastermind behind the decadent creations is former information technology executive Leif Pearson. The first flavor he experimented with was the White Russian, which led him to explore what other liquors and ice cream flavors he could fuse together. He enlisted the help of food scientists to develop the line of products that would become Momenti's Spirited Ice Creams. For the time being, his liquored-up desserts can only be found at certain restaurants and food and beverage companies in the Las Vegas area. But Pearson plans to go national very soon: He just opened the country's first factory especially designed for making alcohol-infused ice cream and sorbet.